Polished Platinum, 43mm case, date indicator, automatic movement, with 42 hour power reserve. It features a beautiful white enamel dial with Peter The Great’s Coat of Arms, and glass back exhibition case. 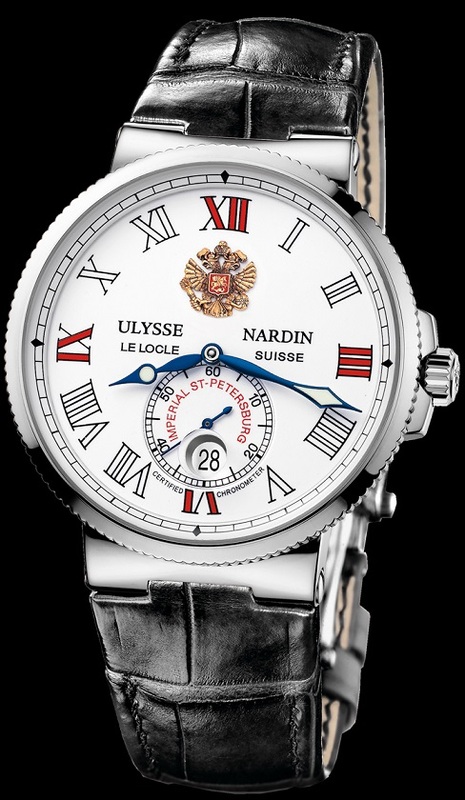 Visible through the glass back is a 22KT white gold rotor engraved with the Ulysse Nardin name, and anchor logo. Shown on elegant crocodile leather strap with platinum folding buckle. 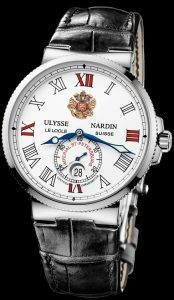 View our other Ulysse Nardin Limited Editions. CALL US 956.687.2981.